Moshannon State Forest derives its name from “Moss-hanne,” or “moose stream,” the Native-American description of the waterway that runs through the area. The forest totals 190,031 acres on the Allegheny Plateau. Moshannon State Forest is one of eight state forests located in the Pennsylvania Wilds region. Moshannon State Forest lies within the transition zone between the northern hardwood and Allegheny hardwood forests to the north and the mixed oaks and oak-hickory forests to the south. DCNR’s Bureau of Forestry is in the process of revising the Moshannon State Forest Resource Management Plan (SFRMP). A district-level state forest management plan is written for each of the bureau’s 20 forest districts across the state. Moshannon State Forest staff hosted a public meeting (PDF) about its draft management plan on Wednesday, September 26, 2018. Citizens may review the newest draft version of the Moshannon SFRMP (PDF). 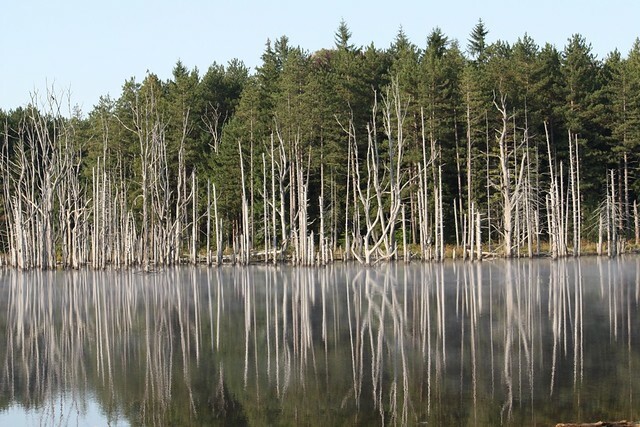 View Moshannon State Forest’s 2019 management activities (PDF) for upcoming projects and events to implement the State Forest Resource Management Plan.